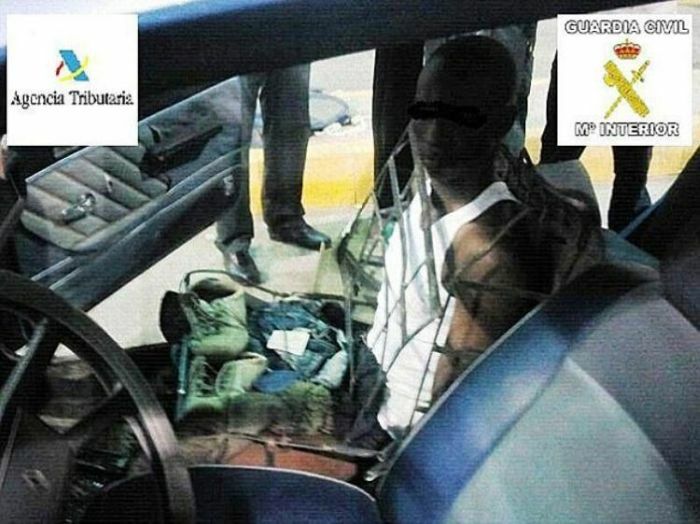 Two Moroccans were caught smuggling a man from Guinea to Spain. 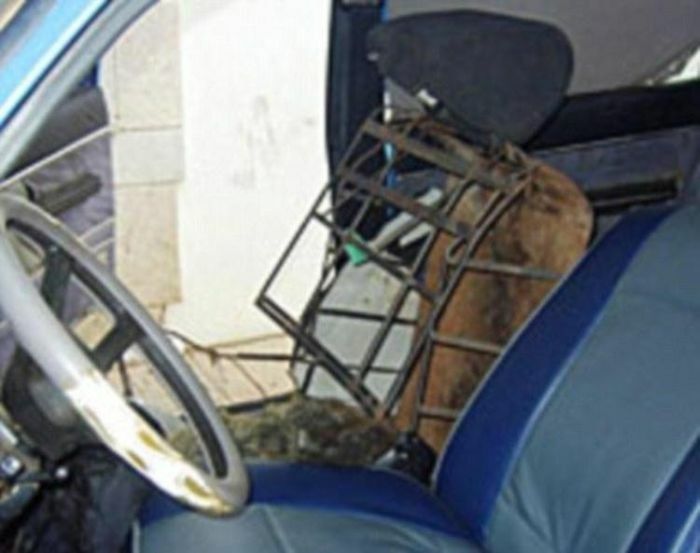 The man was hidden inside their car's passenger seat. Now what gave him away?